Certified nursing assistants work closely with residents and usually provide most of the hands-on care. Their role in health places them in a position where they have the greatest influence on residents’ well-being and physical health. The profession is among the fastest growing, and job opportunities are expected to increase by at least 22 percent in the next decade. The growing senior population places huge demands on health care in general, and the need for CNAs to care for residents in long-term care facilities has never been higher. According to the Bureau of Labor Statistics, CNAs held approximately 1.5 million jobs across the United States. Top quality nurse aide training programs give students the education and competencies to become a member of the paraprofessional workforce. Graduates are eligible to take the state certification to practice in long-term care facilities, home health care, and hospitals. The nursing assistant program at the American Red Cross teaches students the requirements for certification as a Massachusetts CNA. Graduates are eligible to take the state exam for certification as a nurse assistant. Through the combination of classroom lectures, role-playing, DVDs, and laboratory practice, students acquire the knowledge and competencies to care for patients in hospitals, long-term care facilities, hospice settings, and home health care. Students learn vital signs and how to assistant patients with the activities of daily living, such as bathing, dressing, and positioning. Course content includes infection control, CPR/AED/FA, range of motion exercises, communication, teamwork, promoting safety, providing care, the art of caregiving, transitioning from student to employee, and special care instructions. The program is available on a day or evening schedule. ARC offers small class sizes, hands-on experience, licensed instructors, assessable locations, and flexible course schedules. Interested persons must attend a local orientation information session, provide documentation of completing high school or GED or take the TABE reading and math assessment, pass a criminal background check, and complete the Red Cross physical form and TB test. Course highlights include 2-year certification in CPR/AED, FA, hands-on clinical experience in a skilled nursing facility, job fair with local employers, after-class tutoring, resume workshop, and lifetime members as an ARC graduate. Tuition for the program is $1,250. PEAK Medical Academy offers a nurse assistant program to prepare students for success on the state certification exam. The curriculum comprises of 100 hours of instruction, including 75 hours of lecture and lab practice and 21 hours of clinical experience in a state-approved long-term care facility. 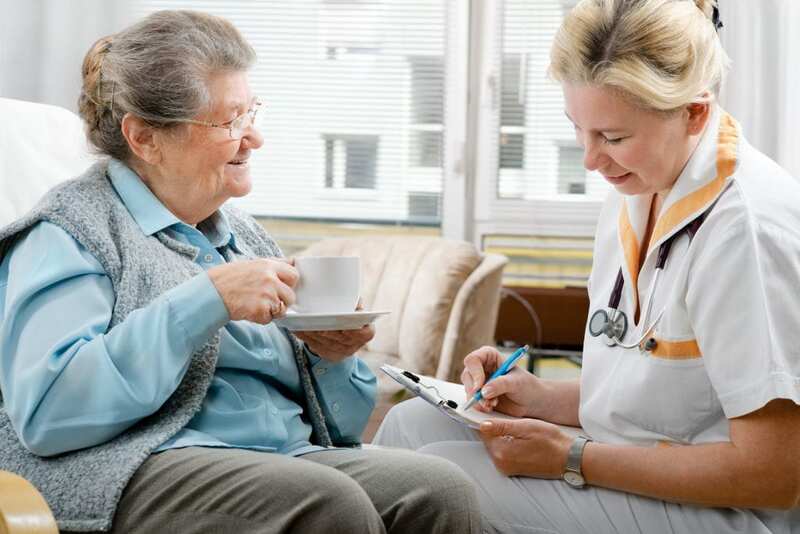 Instructors emphasis the knowledge and skills necessary to the provision of quality care to patients in nursing homes, hospitals, home health, and assisted living facilities. They use lectures, role-play, laboratory practice, games, videos, and other techniques to teach students the basics of personal care, positioning patients, and feeding. The modules stress the five principles of care: independence, dignity, safety, infection control, and communication. Students complete the program in 4 weeks: 3 weeks in the classroom and lab and the final week in a long-term care facility to complete the clinical experience. Morning, evening and weekend schedules are available. Applicants must be 16 years or older, have a negative PPD reading or normal chest x-ray, have a high school diploma or GED or tenth-grade reading, writing and English language comprehension, score 100% on the entrance exam, and complete a CORI check. Tuition for the program costs $900. Other expenses include books, uniform, administrative costs, state exam, CORI check, and TB test. 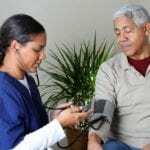 The Nurse Aid and Home Health Aide program at The Fieldstone School offers a dual certificate. It prepares students for certification as a Nurse Aide to practice in long-term care facilities. The curriculum includes 128 hours of classroom lectures, lab practice, and a supervised clinical experience in a long-term care facility. Course topics include anatomy and physiology, communication, range of motion, infection control, vital signs, hospice care, safety and emergency procedures, personal hygiene, and rehabilitative and restorative techniques. Applicants must complete the physical form, pass a TB test, and complete a criminal background check. Tuition for the program is $1,050 – $650 is due by enrollment and the balance must be paid before the commencement of the clinical experience. Tuition includes uniform, CPR certification, textbooks and handouts, study packet for the state exam, ID badge, and professional development. Healthcare and Workforce Development Center. Students complete the theory in the Center and travel to clinical sites in Worcester County to complete the clinical experience. They have the option to complete 50 percent of the training online. The curriculum covers various aspects of healthcare and teaches students how to function effectively as an entry-level nursing assistant, use safety and infection control techniques, provide respectful care, use effective communication, follow HIPAA guidelines, and report changes and abnormalities to supervisors. Course topics include an introduction to medical terminology, introduction to nursing assistant, principles of human biology, strategies for a college career, advanced nursing assistant, introduction to psychology, introduction to microcomputer applications, and advanced nursing assistant. Applicants must have a high school diploma or GED, complete CORI and SORI fingerprinting and drug testing, provide documentation of immunization and a physician’s report indicating satisfactory health, provide evidence of positive Hepatitis B antibody titer, and take the college placement test. Tuition for the program is $400. 3Dimensions Health Services prepares nursing assistant students to function as a critical link between residents and nurses and physicians. Students acquire all the necessary skills to provide safe and sound care in their role as a nursing assistant. The curriculum employs classroom and practical learning in the lab as well as a supervised clinical experience at a long-term care facility. At the conclusion of the program, students will receive a Certificate of Completion that will make them eligible to sit the state certification exam. Tuition costs $920 and includes books, badges and the administrative fee.